Broadley station looking south in February 2016. The single platform is seen on the right, the gap within it providing the new site of the station’s signal box in 1915. 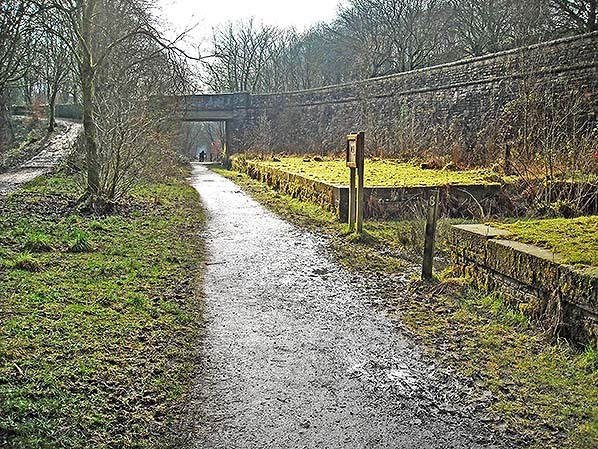 The sloping track to the left formerly gave access to the goods yard, but it now allows pedestrians to join the Healey Dell Nature Trail which follows part of the former Facit Branch trackbed.